Lubuntu Linux 18.10 DVD (32-Bit) | Linux DVD Shop - UK Linux Shop supplying Linux on CD, DVD and USB with Free UK Delivery, 24Hr Dispatch. 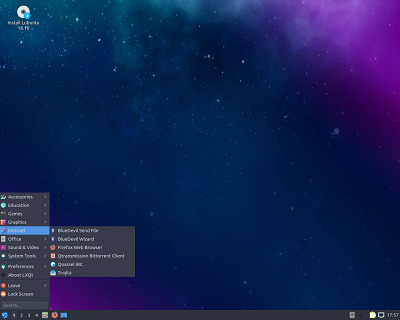 Lubuntu Linux is a project that is intended to lead to an official derivative of the Ubuntu operating system that is lighter, less resource hungry and more energy-efficient, using the LXDE desktop environment. The LXDE desktop uses the Openbox window manager and is intended to be a low system requirement, low RAM environment for netbooks, laptops and older PCs.